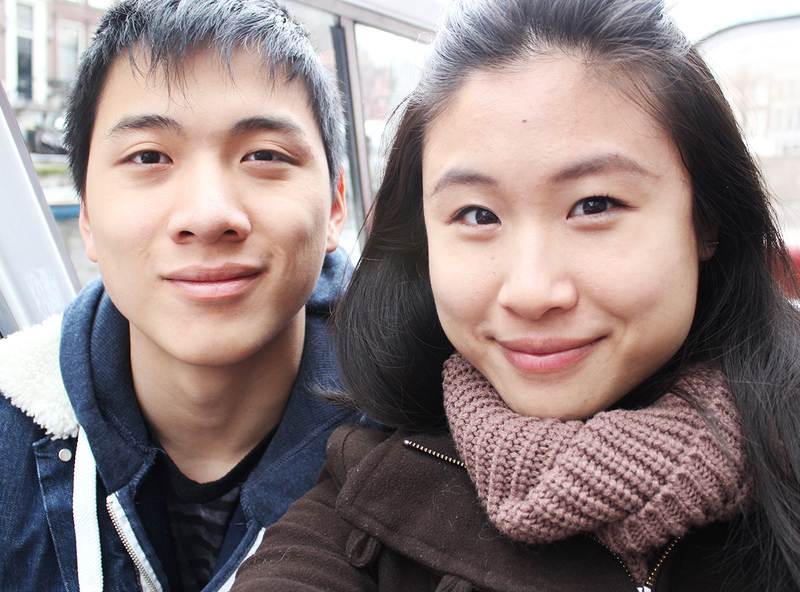 A few weeks ago, my boyfriend flew in from New York during his spring break to visit me in Amsterdam! I was beyond elated at the prospect of having someone from home to explore the city with and who better to spend six days with than my best friend? 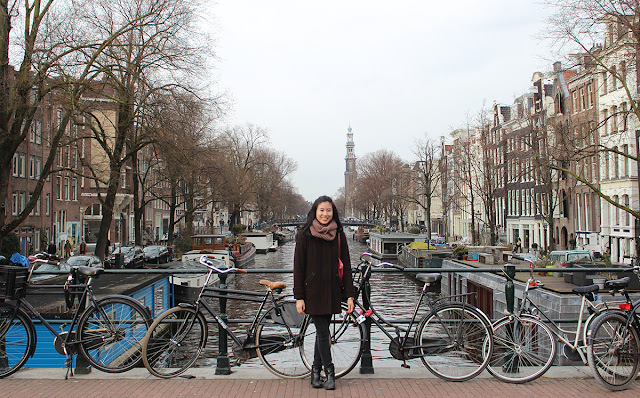 We did a bunch of tourist-y must-dos such as a canal tour around the city. 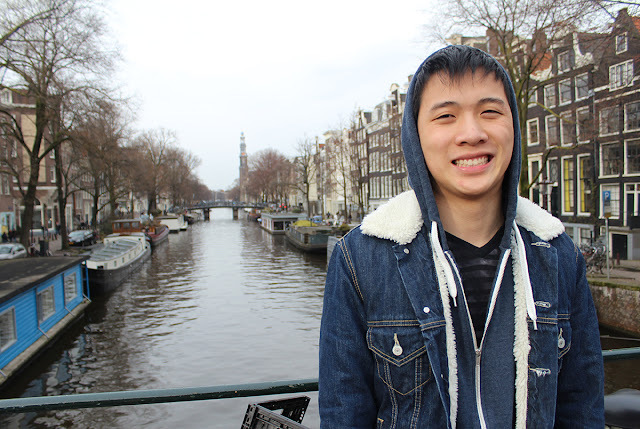 Although Dennis looks full of energy in the photo, he was anything but during most of the ride due to jetlag. It was my first time on the canals even though I had walked along them so many other times. 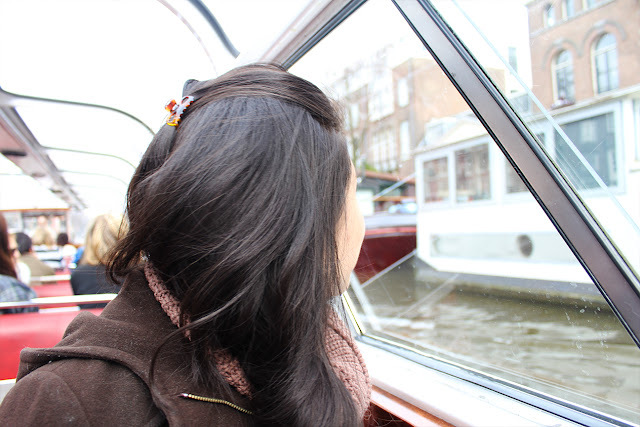 Whether you're in Amsterdam for a few short hours or a long period of time, an hour long ride on a boat is worth doing. Then we had to get some famous flaamse frites with mayonaise which might not have been the best idea since we were both incredibly tired from Dennis' early arrival flight. 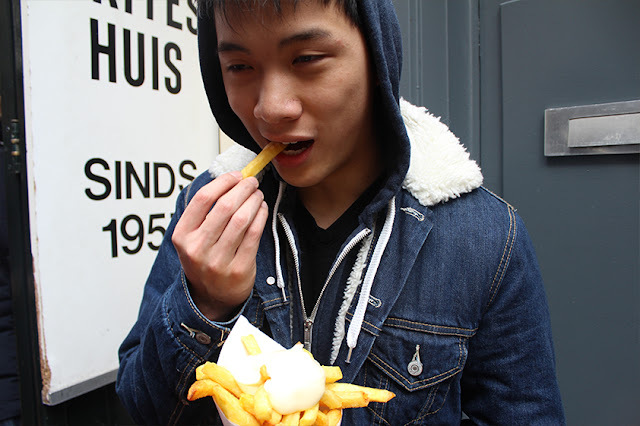 After waking up at five in the morning I probably shouldn't have filled my stomach with greasy fries. 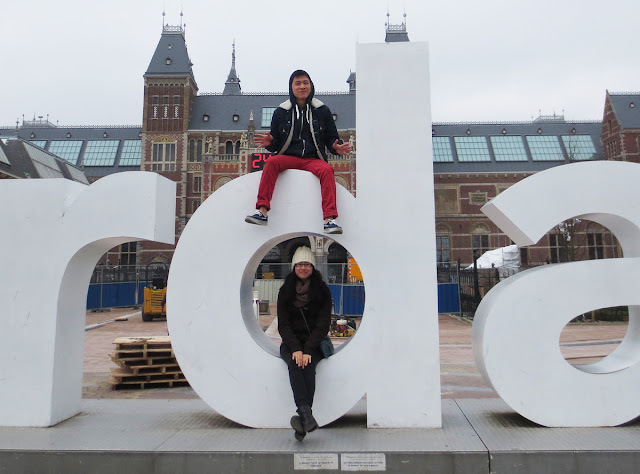 Dennis was excited to climb one of the IAmsterdam letters while I laughed at his struggle. The weather was quite dreary that day (typical Amsterdam) and the letters were wet so I played it safe and stuck to the ground. I often feel weird asking other people to take photographs for me but it's much easier for me to look natural in front of the camera when my boyfriend is the photographer. We strolled along Prinsengracht on a somewhat clear day, admiring the apartments and enjoying a sandwich from the Kaaskamer. I forgot to take a photograph of the yummy sandwich as I was way too hungry. While walking around the Negen Staatjes neighborhood we walked past a woman who was walking her cat! Yes, a cat on a leash! I was surprised and incredibly amused as the orange tabby looked like he was going about his usual business like nothing was strange. As for museums, we visited the Anne Frank House and the Queens Palace in Dam Square. I believe photography is prohibited at the Anne Frank House so there are no snaps of that but I think the wait and price is worth it. Although I cannot say I appreciated the book very much when I read it as a child, I am highly interested in the World War II era and the Holocaust. The Anne Frank House was a surreal experience and it took quite a bit of time for it to sink in that I was at the very place the Frank family lived in hiding. 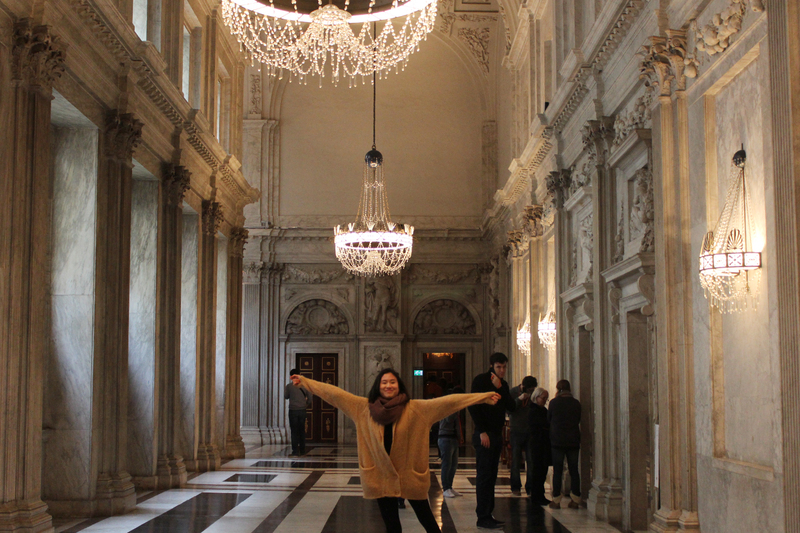 The palace, on the other hand, is very lighthearted and a nice place for visitors of all ages. 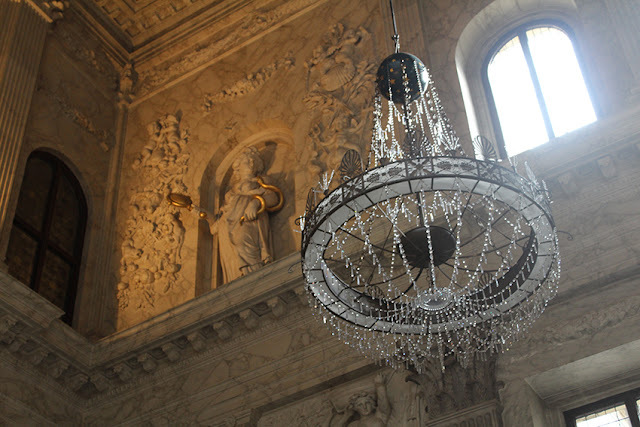 The central location make it a great place to stop by and warm up a bit while peeping into the rooms Napoleon's brother, Louis Bonaparte, occupied while he was king of the Netherlands. The chandeliers were my favorite aspect of the palace and each room seemed to have a different variation. Six days was definitely not enough time and I wish we could have traveled outside of Amsterdam and seen some other places. Nonetheless, I am grateful that Dennis took out time and money to come see me and I cannot be more thankful. Looking through my files, we actually did not take very many photographs at all. I guess we were living in the moment and having fun instead of concentrating too much on taking pictures to show others, which is perfectly fine by me! That's so sweet of him! 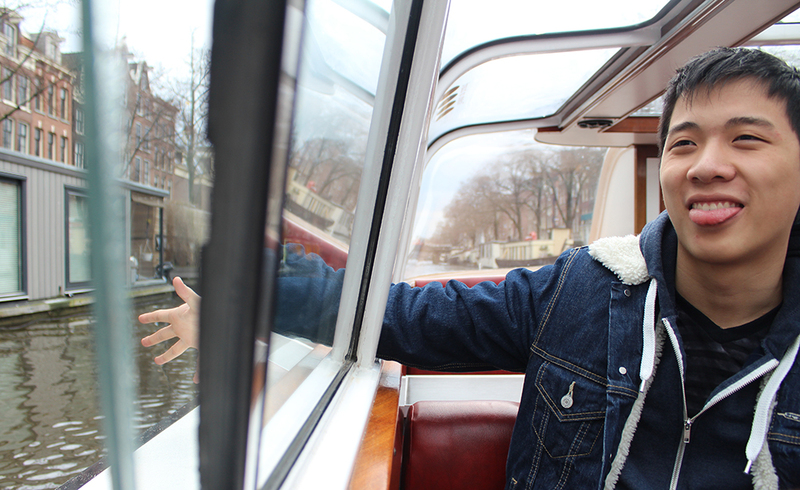 Are those all restaurants on the canal? Aww it looks like you both had a blast!! Aww glad you both got to spend time together! Love the big letters picture.